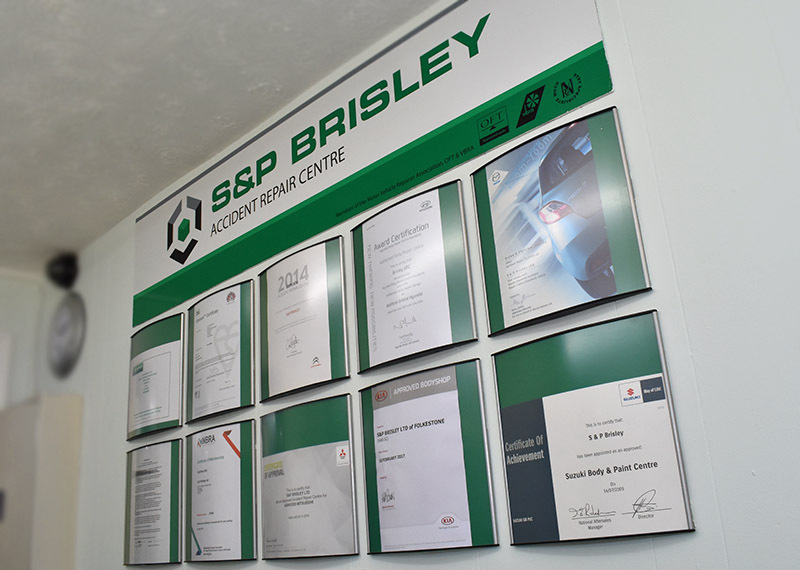 S&P Brisley are a BSI Kitemark™ certified vehicle damage repair centre and approved repairers for a number of leading manufacturers. All work undertaken by S&P Brisley is guaranteed (subject to job specification). We are members of VBRA and the National Body Repair Association. The BSI Vehicle Damage Repair Kitemark™ is only given to repairers who have the technical competence, management systems and procedures to operate and perform to the highest standards. Consistency and quality are key to to the marks credibility. Consequently, Kitemarks are not awarded for life. With regular reassessment by BSI inspectors ensuring standards are maintained our customers can therefore be confident of the quality of vehicle repair and high level customer service we provide. Mazda, Kia, Hyundai, Citroen, Suzuki, Jeep, Chrysler/Fiat and Mitsubishi Motors.